Good December quarter even after the adjustments. Specialty pipeline execution will be the key focus area for the next financial year. Current valuations attractive and stronger specialty portfolio ramp-up could drive rerating. Forex adjusted EBITDA marginally ahead due to lower R&D. Continue to await signs of specialty ramp-up and increased generic traction from Halol. Investor concerns on governance unlikely to completely dissipate until clarity on SEBI’s investigation. 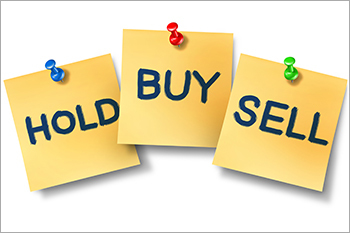 Citi maintained ‘Buy’ on Sun Pharma with a TP of Rs540. Low R&D and forex gain drive quarterly beat. Management commentary was optimistic on specialty, steady on generics and hinted at better disclosures going forward. CLSA maintained ‘Buy’ on Coal India; cut TP to Rs275 from Rs310. EBITDA and net profit improved on higher realisation. Earnings growth to taper off sharply from the March quarter unless company takes a price hike. Muted earnings outlook, but reasonable valuations and high dividend yield. Macquarie maintained ‘Outperform’ on Hindalco; cut TP to Rs270 from Rs335. December quarter’s profit ahead led by higher realisation reflecting grade consistency and market tightness. Divestment led to stock underperformance; Expect re-rating ahead. Attractive risk reward; cut price target on lower volumes and valuation multiple. CLSA maintained ‘Sell’ on Hindalco; cut TP to Rs195 from Rs210. Decent December quarter, but muted earnings profile over next two years. Cut FY20-21 EPS estimates by 1-9% on lower aluminium prices and slightly lower Novelis margins. Valuation not cheap given the contraction in valuations for global metal companies.